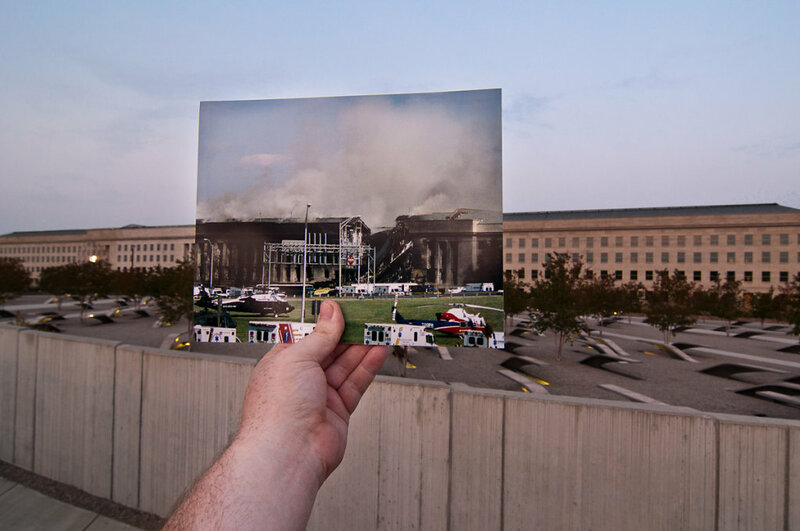 The Pentagon got hit after the World Trade Center, and drove the national fear to the next level. Sitting at home, I wondered how many more thousands of people would die this terrible day. This photo was taken on the grounds of the Pentagon Memorial, which you should visit if you haven't. It's one of the most visually striking memorials in the DC area. Original photo taken by Lisa Borges, courtesy of the U.S. Navy.